20 metres high, with the filter floor 10 metres above ground. The Phosphate Hill fertiliser plant receives power from a nearby solar power plant. 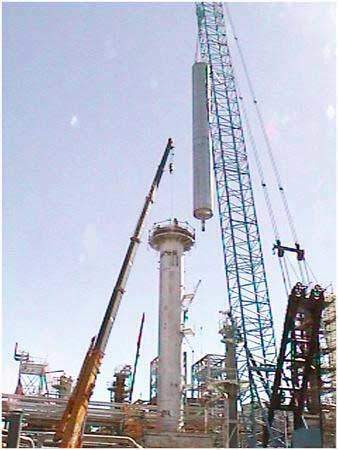 Installation of the ammonia converter cartridge at the Phosphate Hill plant. Phosphate Hill has its own water treatment plant. 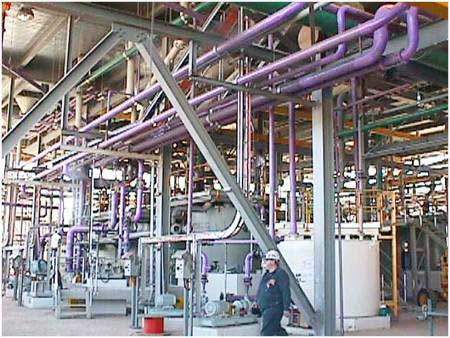 Production of di-ammonium and mono-ammonium phosphate at the Phosphate Hill granulation plant. Piping on the ground level of the phosphoric acid filter building. The automatic fertiliser loading system at Phosphate Hill. The main column structure for the rail load out bin at Phosphate Hill. The Melbourne-based Western Mining Corporation Ltd (WMC) has delivered the first shipment from its $360 million Phosphate Hill fertiliser project. The project in the northwest of the state of Queensland loaded its first shipment of di-ammonium phosphate fertiliser, heralding the start to a new $150-$200 million export industry for Australia and a new profit centre for the company. The project involves the construction of a phosphoric acid and ammonia plant, a fertiliser storage area, a filter building, rail links and port facilities. Since commissioning in December 1999, the project only reached full production capacity in 2000 (attributable to power motor in the ammonia plant provided by Linde). 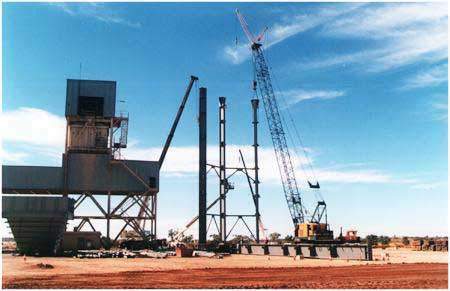 Western Mining Corporation’s Queensland Fertiliser Project involves the manufacture of fertiliser at Phosphate Hill near Mt Isa and its export through the Port of Townsville. The conversion of captured sulphur dioxide from MIM’s copper smelter provides the fertiliser project with a supply of sulphuric acid. After being railed to Phosphate Hill the acid is combined with phosphate rock to produce phosphoric acid, while an ammonia plant uses natural gas as its feedstock. The phosphoric acid and ammonia are combined in a granulation plant to produce one million tonnes-a-year of the high analysis fertiliser. The big reserve base at Phosphate Hill suggests that the project will eventually be expanded. But like the initial development itself, that will depend on the securing of market outlets. Bonacci Group designed the main filter building at Phosphate Hill and the $35 million port facilities in Townsville. The main filter building is 20 metres high, with the filter floor 10 metres above ground. It included four 7.5 tonne SWL monorails running longitudinally over each filter and one transverse monorail with a 15 tonne capacity. The port facilities are built on reclaimed land and include a 220 x 65 x 25 metre high fertiliser storage shed, a sulphur storage shed, conveyors and a bottom dump rail unloading pit. The pit is 9 metres deep and was constructed using a 900mm diameter secant piling system. Townsville is subject to tropical cyclones and with the building being situated in terrain category 2, resulted in considerable design wind loads. 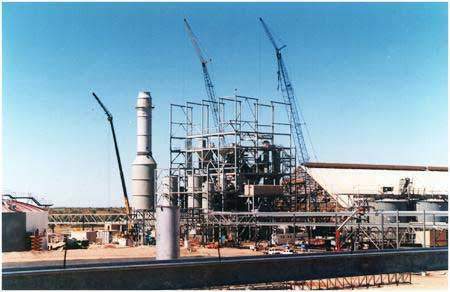 The Phosphate Hill Fertiliser plant is located 150 kilometres south of Mount Isa in Queensland, Australia. 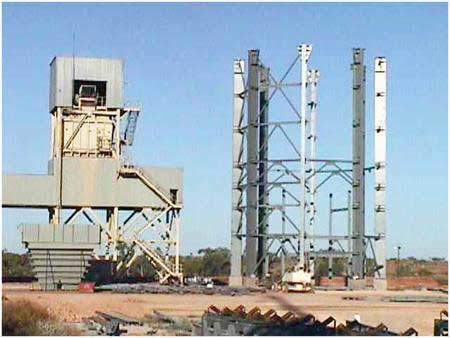 The plant’s power needs are provided by an on-site power station, constructed by Solar Turbines Australia and designed by Crest Engineers. The company has said it expects the project to be the lowest cost producer in the world. Australian analysts of the company have recently estimated an annual profit contribution of more than $33 million (before interest and tax) in 2002, representing about 8%. As a result, the fertiliser project represents a genuine diversification for the company, which is better known for its nickel, alumina/aluminium, gold and copper/uranium mining interests. 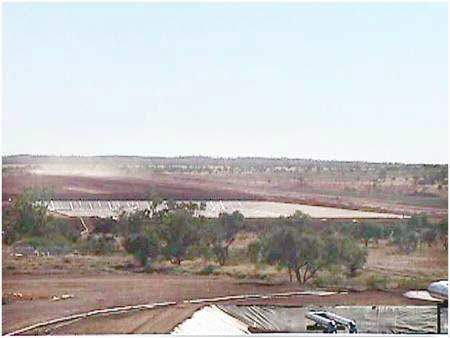 The fertiliser project is based on the Phosphate Hill phosphate rock deposit, 150 kilometres south of Mount Isa, home to the MIM’s base metals operation. In the initial development, completed on time and on budget, about half the annual output is covered by a marketing agreement with Cargill Inc of the United States, a leading fertiliser producer in Florida and a major international processor and distributor of agricultural products. The remainder is covered by contracts in the Australian market with Pivot and Incitec. WMC has also spent many years developing its own marketing arm, Hi-Fert. 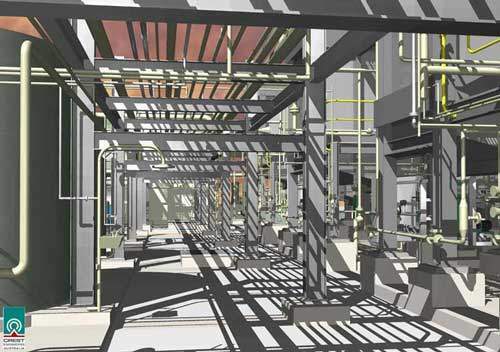 Bechtel Corporation was awarded the contract for the structural, mechanical, piping, electrical and instrumentation services for the fertiliser plant infrastructure, including the product storage building, conveyor systems and piperacks. The contract also included the turnkey package for the 3,400 tonne capacity Rail Load-Out facility with fully automated batch weighing system. Works were completed on schedule with zero lost time incidents.